According to her fan site, Dorothy Dunnett was pursuing a successful career as a professional portrait painter in the 1950s when she complained to her husband Alastair that she had run out of reading material. He suggested she write something herself. With the erudition and depth of research that was to become her trademark, she spent the next 18 months writing The Game of Kings. It was rejected by 5 British publishers before being published in the USA in 1961 and launching her writing career. 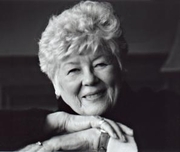 Dorothy Dunnett is currently considered a "single author." If one or more works are by a distinct, homonymous authors, go ahead and split the author. Dorothy Dunnett is composed of 10 names. You can examine and separate out names.